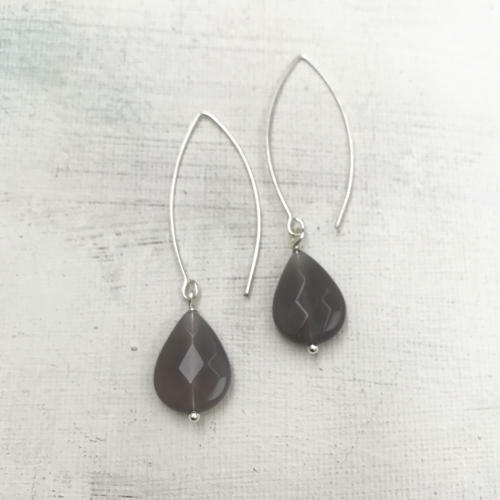 Stylish long earrings with either silver or gold plated wires and grey agate stones. Length 6cms. Hypoallergenic and nickel free.